Chagatai Khan: Jang Group/GEO TV Romanticize Militancy & Terrorism. Jang Group/GEO TV Romanticize Militancy & Terrorism. 2008: Whole bloody West was looking for al-Qaeda commander Mustafa Abu al-Yazid and other such absconders & Jang Group Geo Tv Reporters were interviewing him as if he was sitting in Cafe Khairabad near Jang Press, Karachi. How Ironic that Kamran Khan was not given the documents on Dr Arsalan but he ranted & he while sitting in Karachi telling tales on a subject whose even basic knowledge is lacked in every journalist what to talk of two bit Kamran Khan. Kamran Khan basically prepared case against Pakistan. Sunday, May 16, 2010 Hamid Mir’s terrifying indiscretions LAHORE: A shocking audiotape of a conversation between Hamid Mir – one of the country’s top TV anchors – and a man purportedly linked to the Tehreek-e-Taliban Pakistan, has revealed that negative information that Mir passed on to the Taliban could have led to the execution of Khalid Khawaja, the retired Air Force official allegedly killed by a group calling themselves the ‘Asian Tigers’. The tape – which has Mir divulging dirt on Khawaja, ostensibly to someone who is going to cross examine him – was first posted by the Let Us Build Pakistan blog, and picked up by other online publications, including Café Pyala. It is still unclear who made the tape, with online speculation suggesting that it could be the militants themselves, or even intelligence agencies who released the recording. Whatever the source may be, it is clear that one of the voices on the tape is Mir’s, a fact corroborated by his allusions to events such as his sacking from the daily Ausaf. In the tape, the person on the other end asks Mir for information on Khalid Khawaja. The content of the conversation suggests that this call was made before Khawaja’s execution earlier this month. Mir goes on to detail what he knows about Khawaja’s background, linking him to the CIA, an international network of Qadianis and an American named Mansur Ejaz, who, Mir claims, even offered to solve the Kashmir issue. 2010: Hamid Mir saga Dawn Editorial : The controversy surrounding television anchor and columnist Hamid Mir refuses to go away, and for good reason. Many questions remain unanswered. A purported telephone conversation between him and an unknown militant has shocked the country and the journalistic community in particular. If the person on the line is indeed Mr Mir, an explanation is in order about his possible ties with militant organisations. He must also answer allegations that the information he ostensibly provided may have contributed to the killing of Khalid Khawaja, a former ISI official belonging to the air force who had been abducted by the Taliban. Mr Khawaja, believed by many to be a Taliban sympathiser, is repeatedly described as a CIA agent by the man who sounds uncannily like Hamid Mir. 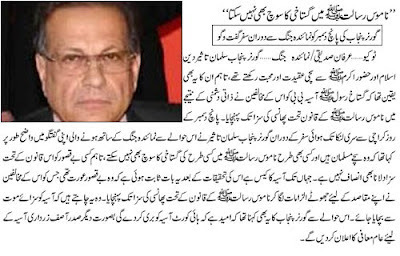 Mr Khawaja and his wife are also held responsible in part for the bloodbath at Islamabad`s Lal Masjid. The person on the phone also spews venom of the vilest kind on the Ahmadi community. Slain Taliban leaders are referred to as martyrs. GUARDIAN Monday 17 May 2010: Lahore Pakistan's pugnacious media world was plunged into controversy today when a leaked audio tape apparently linked its most popular television presenter with the execution of a Taliban hostage. The tape purports to be a recording of a phone conversation between the journalist, Hamid Mir, and a Taliban spokesman about the fate of Khalid Khawaja, a former intelligence agent being held by the Taliban. In the tape Mir describes Khawaja as a CIA collaborator, questions his Islamic credentials, and accuses him of playing a treacherous role in the 2007 Red Mosque siege in which more than 100 people, including the chief cleric, were killed. When the abductor asks the journalist whether Khawaja should be released, he urges him to further interrogate him. Last month Khawaja's bullet-pocked body was found on a roadside in Waziristan with a warning note to other "American spies". As debate about the tape swirled in media circles, Mir issued a strenuous denial saying the tape had been fabricated by his enemies in government to destroy his reputation and silence him. "I never said these things to these people. This is a concocted tape," he told the Guardian. "They took my voice, sampled it and manufactured this conspiracy against me." But several senior journalists said the tape sounded authentic and one called on the government to investigate further. "There are serious allegations to be answered," said Rashed Rahman, editor of the English-language Daily Times newspaper. "If this tape turns out to be genuine, it suggests a journalist instigated the murder of a kidnapee. A line must be drawn somewhere." The Taliban added to the controversy by issuing a statement that denied the tape was real but, confusingly, threatened the state telephone company for having taped the conversation. The acrid arguments have thrown Pakistan's normally tight-knit media community into a spin as some of the country's most contentious issues – militancy, politics and the role of the powerful, overwhelmingly rightwing media – have come into focus around the death of Khawaja, a controversial figure in his own right. Khawaja, a former Inter Services Intelligence (ISI) agent and chief co-ordinator of a human rights group, who claimed to have met Osama bin Laden, travelled to the tribal belt in March with Sultan Amir Tarar, another former ISI agent, and Asad Qureshi, a documentary filmmaker. Khawaja had promised the journalist an interview with Hakimullah Mehsud, the Taliban leader who was almost killed in a CIA drone strike in northwestern Pakistan in January. However, the three men were kidnapped, and the Taliban demanded money and prisoners in return for their freedom. On 24 April the Taliban issued a video showing a strained-looking Khawaja admitting to having worked for the CIA and betrayed the Red Mosque clerics. A week later, after his execution, Mir wrote a detailed account of Khawaja's life. He recycled the allegations against the former ISI agent, attributing them to militant sources. Mir has vowed to take his critics to court, but for now the controversy is playing out on the pages of the Pakistani press. Mir said the recording had been doctored by the Federal Investigation Agency, a security agency that has been frequently attacked by the Taliban. But he said the slurs had been politically orchestrated by the Punjab governor, Salman Taseer, and Pakistan's ambassador to the US, Husain Haqqani, who, he said, had released the tape on a blog. The New Media Jihadis Ayaz Amir (PAKISTAN DIARY) / 25 December 2009 There is no such thing as positive journalism, a notion put about, mostly in a whining manner, by government information departments. Journalism is at its most responsible when it is explosive and incendiary, shaking people out of accepted modes of thinking. It is at its most irresponsible when it follows the dotted line. Demagogues and second-rate politicians play to the gallery or dance to the tune of public opinion. The journalist with some respect for his calling looks at the other side of the coin. Priests and other doctors of the cloth may deal in the currency of faith. The journalist treads on less hallowed ground. His primary tool is language for without it he would be like a soldier unskilled in the use of arms. But his highest education is in doubt and cynicism. The journalist points the path to no celestial heaven. His Valhalla is here and now. Good intentions he leaves to professional charity workers. For he knows where the best of intentions so often lead. Pomposity and self-righteousness, cant and humbug, and all declarations of excessive virtue bring a smile to his lips. Falstaff, Shakespeare’s comic hero, was no journalist although if he had been around, with his jaundiced views on life he would be hailed as the unrivalled prophet of journalism. The high priest of the calling, however, would have to be the American H L Mencken who could make fun of presidents and politicians, and journalists, like no one else. To read Mencken even a century later is to get an education into what journalism, if touched by the gods, can be. Journalism is flourishing in Pakistan today but of what kind is it? Is it a source of enlightenment or a primary cause of national confusion? Some idea of what this phenomenon is we can get from some of the knights of the profession. Modesty is not one of their primary failings. They give the impression as if they are somehow possessed of the ultimate truth; that they hold a net of commandments in their hands and are thereby entitled to bestow the titles of virtue and sin in whichever direction their unqualified wisdom dictates. In the hands of these knights a news report is not a news report unless it is laced with editorial opinion of the strongest kind, expressed in language which leaves much to be desired. We have known many forms of arrogance: military, civilian, and bureaucratic, not to mention the arrogance of self-appointed arbiters of the faith. The arrogance we now face is of a different kind and it comes from what can loosely be called media jihadis, who are as destructive in their own fashion as the Taleban. Whatever the exalted view that they may have of themselves, what they have helped create is a climate of uncertainty in which the first casualty is democratic stability. They rail against corruption and talk of cleansing the national stables but their real target is President Asif Ali Zardari. We all know that with his colourful past and his familiarity with Swiss bank accounts, Zardari makes for an easy target. But the point lost on our new jihadis is that our national woes did not begin with him and will not end with his departure from the office he holds. There is another uncomfortable truth to confront. Zardari, whether one likes him or not, is elected President of Pakistan. And he was elected by no process of chicanery but by the freely-expressed wish of a large majority of the presidential electoral college, a choice not forced upon Parliament and the provincial assemblies but a choice they freely made. We can regret the choice but we have to live with it. If anyone, or a combination of any forces, is out to remove him, there is a path delineated by the Constitution: impeachment. If there are the numbers, and the resolve, to impeach him, this path is there to follow. But if the prerequisites are missing, then good sense and a sense of realism demand that the windmills of conspiracy should take a break and the new media jehadis should rein in their ambitions. Zardari is going to do us no Roman favour. He is not going to fall upon his sword. This is not going to happen. So the temperature of things should come down. And we should return to the working of the Constitution and the logical playing out of the political process. It would help if Zardari and government were to conduct themselves better and curb the urge to shoot themselves in the foot. Zardari is no one’s idea of an angel. But then what is the strength of angels in the Islamic Republic? Zardari has a past. But who in the current pantheon—politician, tycoon or even jurisprudential giant—is without some kind of a past or the other? All their lordships in the Supreme Court once-upon-a-time were counted as PCO judges, taking oath at the altar of Musharraf’s first PCO. But no one is saying that because of that they should commit hara-kiri. On the contrary, the nation is wishing them well and urging them to do their best in the performance of their duties. There’s another thing we shouldn’t forget. When Benazir Bhutto was assassinated many political parties thought that there was no point in participating in the elections. Even the PML-N, thinking that an election under Musharraf would be an exercise in futility, was in favour of a boycott. At that juncture the most powerful voice urging everyone to participate was Zardari’s. We should get our history straight. The lawyers’ movement weakened Musharraf. But it did not strip Musharraf of his uniform and it did not lead to the restoration of the judiciary. The judges were restored by the political process as exemplified by Nawaz Sharif’s leadership of the long march. My lawyer friends may not like it but it was that (Sharif‘s leadership), Prime Minister Yusuf Gilani’s counselling and the strategic intervention on the part of the army chief, Gen Kayani, which restored the judges. Politicians have been short-sighted in the past but for the most part they are behaving maturely now. Like every party, the PML-N has its share of hawks who see things in black and white. But the overriding sentiment within the party is that come what may, and whatever the charge sheet against an individual, the country cannot afford another derailment of democracy. 2. Summary: Post believes the time has come to end the contract the BBG holds with “GEO TV Network” and move it to a responsible organization. GEO is owned by the “Jang Group,” a multimedia corporation owning Urdu and English language newspapers and magazines and Urdu television stations in all major media markets in Pakistan, with cable TV contracts in the United States and elsewhere. While claiming to be moderate and neutral to USG policies, the “Jang Group” recently has increased its criticism of the USG and its policies, has engaged in anti-Semitic behavior and has specifically targeted the Ahmadi religious minority group in a television program that resulted in the death of two (including one Amcit) Ahmadis. 4. The “Jang Group” is a multimedia corporation owning Urdu and English language newspapers, magazines, and television stations in all major media markets in Pakistan with a country-wide reach. Founded at the end of the Second World War by Mir Khalil ur Rehman. The company consists of three groups: Independent Newspapers Corporation (Pvt) Limited, News Publications (Pvt) Limited, and Independent Media Corporation (Pvt) Limited. 5. The Group Chairman and Executive Director is Mir Javed ur Rehman, the eldest son of founder Mir Khalil ur Rehman. The Group Chief Executive and Editor in Chief is his younger brother, Mir Shakil ur Rehman. The Group Editor is Mehmood Shaam (Karachi). 6. The Independent Newspapers Corporation (Pvt) Limited owns the daily Urdu language “Jang” with editions issued in Karachi, Lahore, Rawalpindi, Quetta, Multan, and London. It has a combined estimated circulation of 300,000 plus (the largest in the country). Other papers owned by group include the Urdu daily “Awaz” (Lahore), evening Urdu daily “Awam” (Karachi), evening Urdu daily “Inqilaab” (Lahore), Urdu weekly “Akhbar-e-Jehan” (Karachi), English weekly “MAG” (Karachi), and the website www.jang.com.pk. 7. News Publications (Pvt) Limited owns the English daily “The News,” with editions issued in Karachi, Islamabad, and Lahore. Its combined daily estimated circulation is 50,000. 8. Independent Media Corporation (Pvt) Limited owns Urdu language “GEO TV Network.” The satellite TV channel is headquartered in Dubai, UAE, with studios and offices in Karachi, Islamabad, and Lahore. “GEO TV Network” started in 2002 with its flagship “GEO TV,” later branching into two channels “GEO News” and “GEO Entertainment” (dramas, sitcoms, etc.). It has subsequently launched “GEO Super” (24-hour sports), “Aag” (24-hour music) and international editions including GEO UK, GEO USA, GEO Middle East, GEO Canada, GEO Europe, and GEO Japan. The Chief Executive is Mir Ibrahim Rehman (based in Karachi), the son of Mir Shakil ur Rehman and the President is Imran Aslam (Karachi). 9. Post has watched with growing concern, as “Jang Group” media entities have grown more irresponsible running erroneous and clearly unsubstantiated stories against not only USG policies and the Embassy, but also a minority religious group in Pakistan, as well as espousing anti-Semitic rhetoric. While initially this could be seen as a flexing of new found media freedoms allowed under former President Musharraf — and continued under newly-elected President Zardari – we now believe these stories are intentional and put our people at risk. The Group’s outlets have frequently been the only media outlets in Pakistan to run, without modification or qualification, releases put out by the Taliban. – On September 7, 2008, “GEO TV Network” aired the program “Aalim Online.” The date coincided with the anniversary of a change in Pakistan’s constitution in 1974 that officially classified the Ahmadis as “non-Muslims.” The host Dr. Aamir Liaquat Hussain egged on guests about the Ahmadis. One guest responded that, “As long as this sedition is alive and even one (Ahmadi) remains on this earth, there is a need to eliminate it.” Two other guests used the Arabic phrase “Wajb-ul-Qatal (duty to kill) to describe those who believe in the Ahmadi doctrine. Dr. Hussain did not intervene to moderate the views, and in his closing statement belittled the Ahmadi founder and agreed in essence with the guests’ contention that his followers were not true Muslims. No member of the Ahmadi community was invited to speak. Two prominent Ahmadi leaders, one of them an American citizen, were murdered in Pakistan shortly after the program was televised. – After the September 20, 2008 Marriott Hotel bombing, English language paper “The News” ran a series of baseless pieces attempting to blame the bombing on the U.S., claiming that Post had been using the hotel as a base of operations for “hundreds” of “Marines,” carrying on about steel boxes that had been moved in and out of the hotel under cover of night. When those stories petered out, it claimed that the fire that raged throughout the night of the bombing, was started by chemicals in the guest room of the one of the Americans who died in the blast. None of this was ever substantiated in any way, yet ran on the front page of the paper and was echoed by “GEO TV.”. Few of these stories were picked up by any of the other media, and completely ignored by the international press here. – On October 23, 2008, Post’s Information Officer received a call at 2200 on the mobile telephone he reserves for press calls from someone who would not identify himself, but claimed that he had just driven by the IO’s residence, saw there were cars there, and asked if he had not been invited to a reception. The individual then asked about a resolution that had recently been passed by the Pakistani parliament, and then asked to speak to the Ambassador. The IO was then asked about a “Daniel Pearl Lecture” he had heard the IO conducted in Karachi earlier in the week, and then inquired if the IO was Jewish. The subsequent story in “The News” took the IO’s comments out of context in a clear effort to paint a derogatory picture. – On November 17, 2008, “GEO TV” suddenly disappeared from the airwaves in Karachi. The blackout lasted about six hours. A senior “GEO” staffer told our senior information LES that the stoppage was a result of pressure being applied by one of the political parties due to “GEO” not airing a speech by one of its politicians. Post found out subsequently that another “GEO” official disclosed to an officer of a European diplomatic mission that they had taken themselves off the air in order to blame the political party, and garner support for the station. 10. 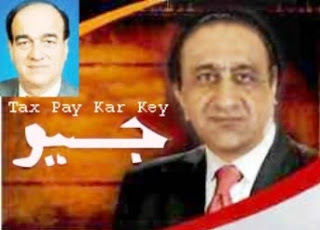 We have protested directly to reporters, editors, and the Group Chief Executive and Editor in Chief Mir Shakil ur Rehman over the consistent inaccuracy of “Jang Group” reporting, as well as their refusal to apply the most basic standards of journalistic ethics, stating that we expect to be called about and to respond to any story any entity of the group is carrying about the Embassy or its activities, and even provided them with direct telephone numbers for the IO, the PAO, and the Ambassador. Despite these efforts, the “Jang Group” has not changed its practices. 11. All of this occurs under the eye of the Group Editor who has not exercised supervision or applied good journalistic practices when assigning and reviewing stories. When queried by Post’s IO he stated that they know that many of their reporters have political agendas, are paid by ISI, military intelligence, Jamaat-e-Islami, or other interests but that they prefer not to fire or reprimand these reporters. 12. The problem of reporting rumor, innuendo, and unsubstantiated allegations is bad enough when limited to the distribution numbers of “Jang” daily or “The News.” However, it is when these stories are amplified by the “GEO TV Network” that the truly negative influence expands to substantial numbers. And all of this by their own admission is calculated to maintain or increase their market share. its behavior as win-win with sensationalism and hate speech generating ratings and any attempt by authorities to rein it in allowing them to exploit their circumstance by claiming censorship. While they realize that we (like the GOP, Brits, Canadians and many of the international reporters) find their reporting reprehensible and dangerous, we have supported them in the past, especially when President Musharraf took “GEO TV” off the air during the 2007 State of Emergency, and believe we dare not stop them lest we be seen as hypocrites. Their calculus is that we are more cowed by accusations of actively trampling their freedom of the press than we are of tacitly supporting hate speech. Therein lies the rub for the USG – at what point do we cater to consistent, blatant hate speech and intentionally inaccurate and irresponsible reporting in major daily newspapers and a country’s largest broadcaster which threatens the safety of American citizens or U.S. interests? 14. We have discussed the issue with the GOP at different levels, including President Zardari, and all are concerned by the “Jang Group’s” coverage. While wishing to grant the benefit of the doubt in order to protect the right to a free press, we believe the utter lack of any journalistic standard or editorial restraint has now proven too much to overlook. Media Gate of Jang Group & GEO TV. Terrorist Jamat-e-Islami, Imran Khan & Al Qaeda. Imran Khan & PTI Romance with Extremist Mullahs. The Ayatollah, Dictatorship & Judiciary. Media Gate: Lawyers, & Jang Group/Geo TV. Imran Khan, Mubashir Luqman & Malik Riaz. Malik Riaz & Prostitution in Pakistani Media. Treasonous Hussain Haqqani & Judges. McCarthyism: Talat Hussain VS Najam Sethi. Chief Justice, Lal Masjid & Jang Group Confusion. Shaheen Sehbai & Jang Group Scandalize Judiciary. Munir Akram, Marijana Mihic & Shame in Manhattan. Misuse of Blasphemy Law for Murder.